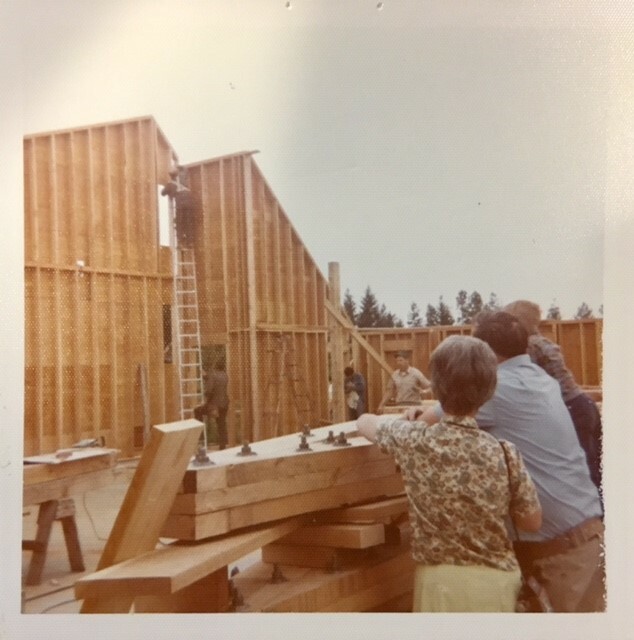 When Jean Clark and Hazel Simonton felt the call of God to start a Bible camp in 1947, they founded their work on three convictions – vision, faith and hard work. Though I believe vision and faith are just as important, the hard work conviction stands out to me the most. Jean and Hazel understood that it would take a tremendous amount of work to start a Bible camp from scratch. From finding volunteers to hauling food to dealing with sickness, I can guarantee you that a 40 hour work week was out of the question when camp was on. As I think about the 88 junior high girls, 41 day campers, 14 work team members and various others here at Big Sky, it does, indeed, take a lot of work to make camp happen. I am thankful for Jean, Hazel, and the countless others over the years who have logged crazy hours, stayed up nights and spent themselves investing in campers for the sake of Christ. It is a great legacy! This is a lesson I am learning personally as I think about Big Sky’s proposed new facility and the ground breaking for that. As I read over the history and look at the old pictures of BSBC, I think this is a concept Jean and Hazel had a firm grasp on. I see a picture of campers and staff eating in the dining hall without finished walls. I see army tents scattered throughout camp and nicely made up outdoor sinks. The missionaries of old did not wait around until everything was provided to do ministry, they used what God had given them and made it happen. I guess this fall under the “faith” conviction of Jean and Hazel. Oswald Chambers said, “prayer does not fit us for the greater works; prayer is the greater work.” I have continually been encouraged and challenged by this quote. I often view prayer as supplemental to ministry, not as ministry itself. Who knows where Big Sky would be without the countless prayers offered up by faithful saints throughout the years. Were the results of ministry up to us, prayer would lose its significance. However, we know that it is God, through the Holy Spirit, who will work in campers’ lives and so there are times when we must simply step back and pray. In the middle of a strenuous camp season, it is easy to be caught up in doing. There is continual activity and an infinite to do list. I challenged the summer staff during orientation to create a personal mission statement – something that reminds them of what they are doing here. There are a plethora of motivations that will last for a while only to die out in the end, but the only one that will allow us to continue giving our best is a love for Christ. This is what is behind Jesus’ penetrating questions to Peter following the resurrection. It is my hope that Big Sky continues for the next 70 years out of a love for Christ.